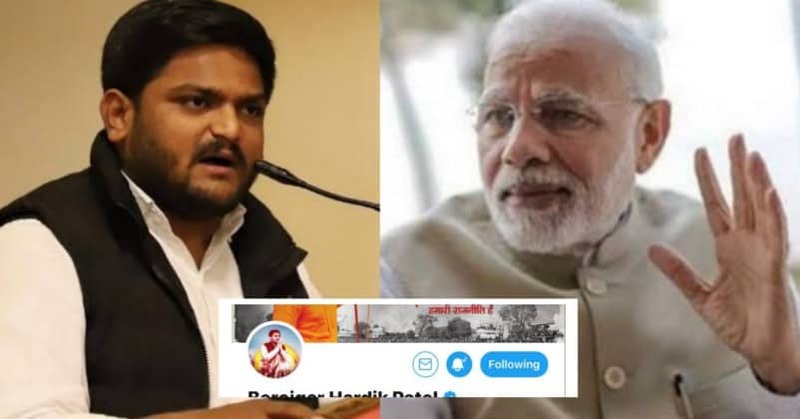 Hardik Patel, New Congress entrant prefixed his twitter handle with the word “Berojgar”, to mock the BJP’s “Main Bhi Chowkidar” campaign on the social media. 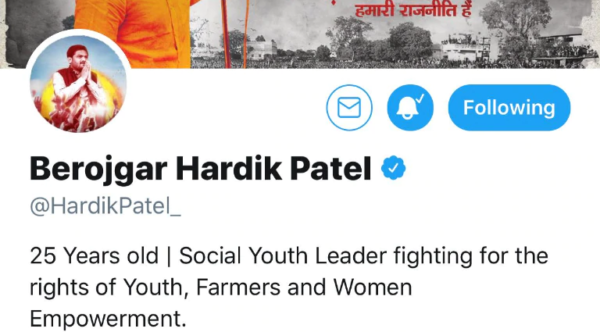 The Patidar who joined the congress in the presence of party president Rahul Gandhi recently, now reads as: “Berojgar Hardik Patel”. The congress alleged that the Modi government has failed to create jobs in the country after he was voted to power in 2014. Congress workers are adding “Berojgar” nomenclature to their twitter handles. He clarified that the Congress is yet to officially adopt the ‘Berojgar’ campaign. The ‘Berojgar’ began trending on Sunday when several other youths added the prefix to their twitter handles. The workers of the Congress have also joined the ‘campaign’ and the engagement is increasing. We have not yet officially adopted this,” Banker said, adding that the Congress would follow the “Berojgar” campaign after discussing with party officials. Congress is countering the BJP’s #MainBhiChowkidar, which was trending on the blogging site since this morning, with its ‘ChowkidarChorHai’ hashtag.